Friendships is a subtle and moving collection of stories about surprising moments of understanding from unlikely sources. In “The Snake,” a girl faces her fears with help from a strange ally; in “Father by Mail,” a teenager writes down all the things he could never say to the parent who has left him behind; and in “Bruno,” a boy discovers a way to deal with a bully. These perceptive and contemporary stories, by one of Canada's best-loved and award-winning authors for young readers, show struggling boys and girls making a connection with someone who can bring them to a kind of balance. 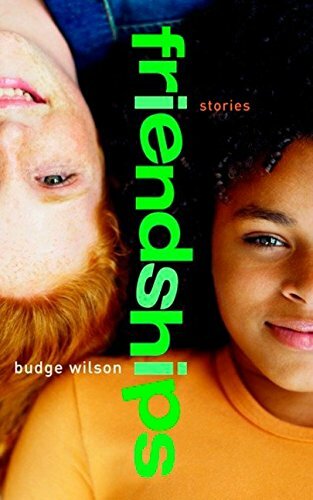 Budge Wilson is the author of the acclaimed book The Leaving, a short story collection chosen by the American Library Association as one of the 75 Best Children's Books of the past twenty-five years, winner of the American Library Association Best Book for Young Adults, and the School Library Journal Best Book of the Year. A Nova Scotia native and resident, Ms. Wilson has worked as a teacher, commercial artist, photographer, and fitness instructor, but now occupies her time with her true love, writing.